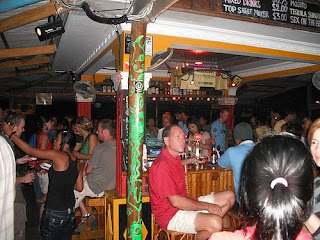 There may be as many bars in Sihanoukville as there are restaurants. One can choose which bar to go to depending on one’s mood: there are bars for those who are looking for company, places showing popular sports games, noisy bars, quiet bars—name it, and Sihanoukville has it. There are actually bars everywhere—from rooftops, boats, and islands, to bars in hotels and beaches. One can also choose based on who’s managing it; there are those managed by expats from Europe, Australia, New Zealand, USA, Canada, and there are those which are locally managed as well. 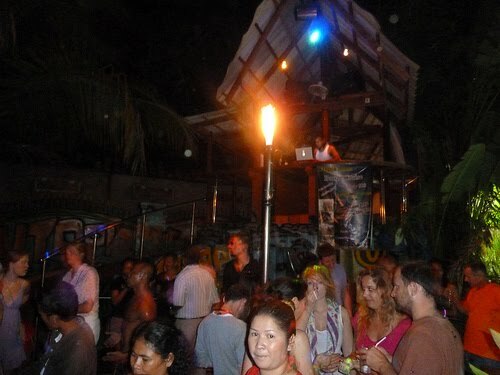 Majority of the nightlife in town usually congregate on the beaches and in and around Ekareach Street in downtown Sihanoukville. Weather Station Hill (“The Hill”) which is where backpackers congregate, are also full of such places. Among the numerous bars, the expat-run Angkor Arms and Small World are very popular. 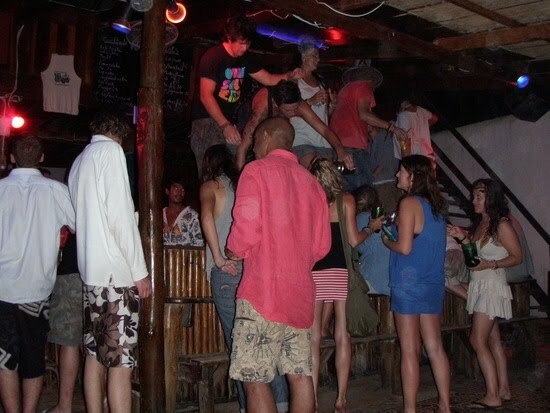 For bar top dancing and Russian vodka, the Snake Pit near Victory Beach is the place to go. And although relatively new, the Australian-run G’day Mate bar is gaining popularity among local and foreign tourists for its 24/7 operation, a wide variety of in-house music to choose from, and excellent local and international food. 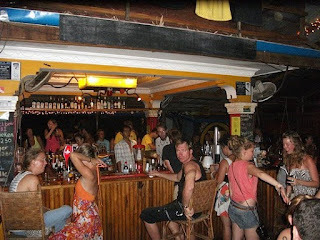 Other popular bars include Emerald Bar (an Irish pub) and Eden Bar (along the beach), Monkey Republic (good food and music), and Utopia (full moon and all-night parties). Freedom Bar downtown is also popular for its pool tables, big screen TV, and live rock and roll on weekends. On the Hill, Corner Bar is known for its food and big screen TV showing major sports events. Discos in Sihanoukville here start late at night until early in the morning. Some also have projector TVs offering showing the latest sports events and even up-to-date Hollywood movies. Guests can watch for free, in exchange, of course for ordering something while inside the bar.